The vicious cycle of undernutrition and water, sanitation and hygiene (WASH) is well documented. 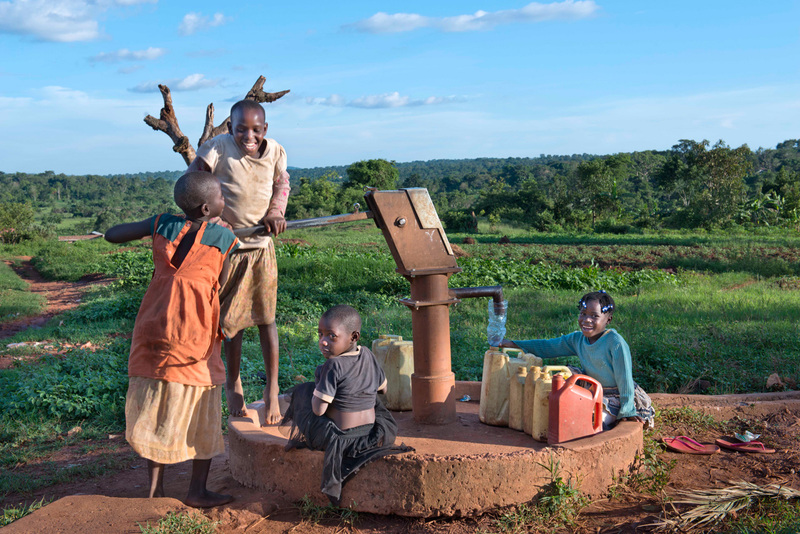 Studies have found remarkable reduction in undernutrition when the WASH situation improves. This is particularly true for stunting, which is an indicator of chronic undernutrition. The mechanism is rather straightforward – better WASH conditions help reduce transmission of infections and intestinal parasites leading to better nutrition. Diarrhoea, a water-borne disease caused by poor WASH, alone is responsible for up to 50% of undernutrition in low-income settings. Over 9% of the global disease burden and 6.3% of all deaths are associated with poor WASH conditions. Worldwide, 844 million people do not have access to clean water and 4.5 billion people lack access to safely managed sanitation. The world made remarkable progress in recent decades with global income poverty reducing to just above 10%. However, this has not been translated well in improving undernutrition. Still, 23% or a staggering 155 million children are stunted worldwide. We almost know for certain that the affected individuals are the very same people who we don’t want to leave behind in the Sustainable Development Goals! 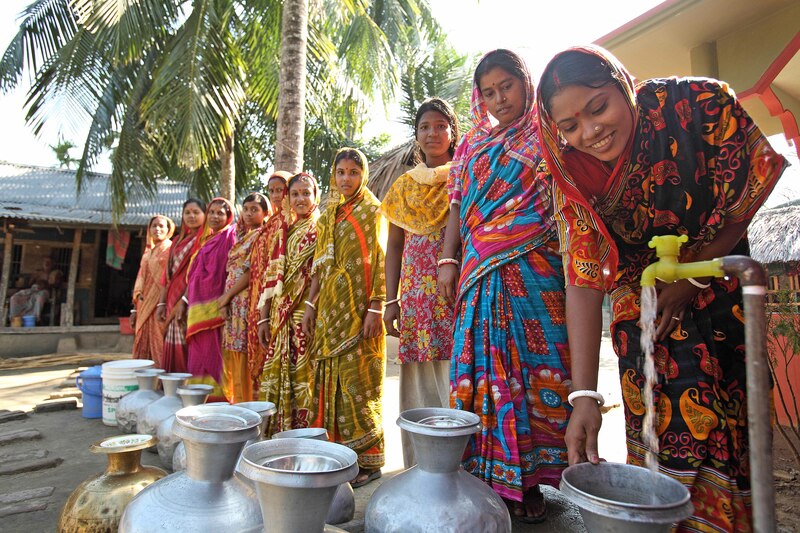 Bangladesh has made impressive gains in many of the development indicators recently. Unfortunately, 36% of our children are still stunted! This is in spite of the food security that the country has largely been able to ensure for its population. The battle against undernutrition cannot be won unless and until we are able to ensure clean water, safe sanitation and proper hygiene for all. The civil society is also playing an active role. Initiatives include, among others, the creation of a Citizens Platform for Implementation of SDGs in Bangladesh which has already undertaken several important activities such as mobilisation of different stakeholder groups and a citizens’ report on SDGs. The SDGs are closely interlinked and the level of its success will largely depend on how well the coordination mechanism works. Goal 2 of the SDG is on nutrition. Its success will require a good understanding of its links with other goals, and, fortunately, a good amount of discourse on this is already being seen. Because of its close connection, as mentioned earlier, a sustainable improvement in undernutrition is only possible when we simultaneously impact on the WASH situation, represented by Goal 6 in the SDGs. In practice, unfortunately, WASH and nutrition programmes work in isolation without much coordination between them. It is obvious that much headway can be made if critical WASH-sensitive elements are integrated into nutrition interventions and vice versa. For example, the nutrition workers in addition to their routine activities could motivate people on appropriate WASH practices at no or marginal extra costs. Similarly, the WASH programmes could co-locate their interventions in areas more vulnerable to undernutrition. A smart step would be to formulate key performance indicators by including indicators from the other sector, for we tend to do things more religiously that are measured. Fortunately, the development community is increasingly realising the potential of leveraging WASH for nutrition and vice versa. At the World Water Week last year in Stockholm, two initiatives promoting SDGs 2 and 6, namely the Scaling Up Nutrition (SUN) Movement and Sanitation and Water for ALL (SWA), joined hands by organising jointly a workshop titled “SDG-synergies: Countries link WASH and nutrition to reduce malnutrition”. With the privilege of being the only person who serves on the lead groups of both the initiatives, I was asked to open the discussion. Early experiences of integrating the two sectors were presented for four countries – Chad, India, Madagascar and Nepal, which showed the promise of connecting the two sectors. Most of the countries which are lagging behind in either or both of these sectors are members of the two initiatives, including Bangladesh. Two reports on how the two sectors can benefit from each other with specific recommendations were launched in the meeting in Stockholm. The title of the current article is borrowed from one of the reports (“2+6=17: Linking WASH and nutrition –a blueprint for living SDG17”, published by the German WASH Network). Joining hands at country-level policy planning and implementation is going to be formidable but I am sure it is not impossible, for we all want to reach the SDGs and see that no one is left behind. With more awareness and a change of mindsets amongst stakeholders, this transformation can happen and it is already happening in some countries. We now only need to scale it. This is hardly a choice as, in doing so, we will certainly make remarkable gains for women, men and children everywhere. Dr Mushtaque Chowdhury is the vice chairperson of BRAC and a member of the Lead Groups for Scaling Up Nutrition Movement and Sanitation & Water for All initiatives.